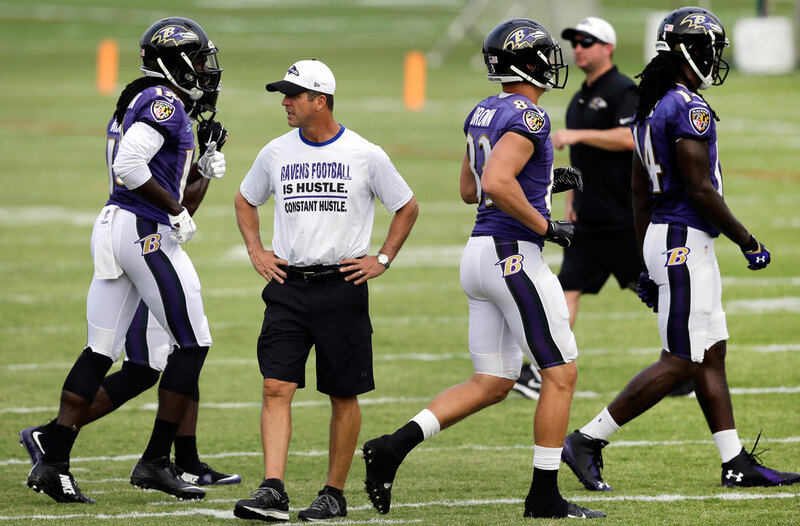 OWINGS MILLS, Md.—Late on a recent practice morning at the Ravens’ training camp, newness was on display. It’s not a one-season makeover here, but a continuing cycling-through the roster while remaining competitive. Rookie wideout Breshad Perriman, with a twisting catching of a Joe Flacco throw deep downfield. Maxx Williams and Crockett Gilmore alternating with the ones at tight end. Timmy Jernigan and Carl Davis starring in the defensive-line rotation. Kyle Arrington, the New England import, starting as the slot corner. Watching on the sidelines, I began to wonder, Two-and-a-half years since the Ravens won the Super Bowl, and this team looks so different. How different is it? A little research, with an assist from PR aide Patrick Gleason, revealed that 17 of the 22 Baltimore starters from the Super Bowl 47 victory over San Francisco are not here. Ninety players in camp. Only five current Ravens were starters on that Super Bowl team: guards Marshalanda and Kelechi Osemele, quarterback Joe Flacco, and linebackers Terrell Suggs and Courtney Upshaw. The secondary, mostly wiped clean. The defensive line, gone. Virtually every skill player—Torrey Smith and Jacoby Jones and Ray Rice and Bernard Pierce—gone. 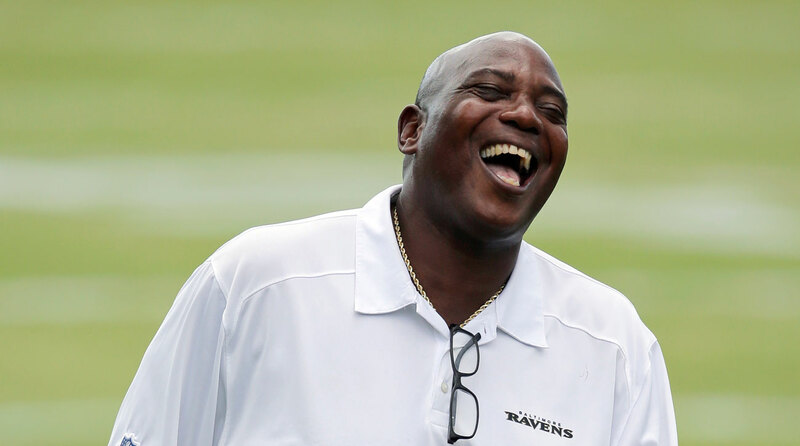 “Well, San Francisco’s had a lot of change from that game too,” GM Ozzie Newsome said. True. But not as much—the Niners have seven of 22 starters from the Super Bowl in training camp this summer. And there’s one other big difference: The Ravens are in position to contend for the Super Bowl. The Niners will be hard-pressed to make the Super Bowl this year. San Francisco is a great example of a very good team hitting a bump in the road and struggling to keep the car out of the shop. What do consistently good teams have in common? An owner who empowers his staff and gives the personnel side and coaches the resources to win. A general manager who can take the slings and arrows of change, who can keep his front-office staff together and who can work well with a strong-minded head coach. A coach who doesn’t have to buy the groceries, but who wants to at least push the cart down the aisle at the store, and who can keep good assistants together and command a room, year after year. And a quarterback in mid-prime. Flacco is 30, has started every Ravens game since 2008 and looks to be immune to injury. Plus, he laughs at distractions. That four-headed football hydra has a good chance to stay good. And that formula works for other teams. New England: Kraft/Belichick/Belichick-Caserio/Brady. Pittsburgh: The Rooneys /Colbert/Tomlin/Roethlisberger. Seattle: Allen/Schneider/Carroll/Wilson (now that the franchise quarterback has signed a lucrative extension). Arrington, the former Patriot, sees the common elements of long-term successful teams now that he’s been a Raven for the preseason. “It starts at the top,” he said, “from the owners and front office and coaches, good leadership and a consistent quarterback. If you have that, and everyone has the same attitude, then you can plug different guys in and still win. It’s proven." But there’s something else. It’s something important, and it has torn asunder relationships on teams that looked to have the four important men at the top. It’s about staying in your lane. One major factor on teams that have a strong coach and quarterback and have remained good for a long time is that people take care of what's asked of them and don’t worry about other people’s responsibilities. Interesting little anecdote: At a hotel in New England during last year's playoffs, I saw a sticker on the front door of a hotel with the Flying Elvis logo and the oft-repeated words of Patriots coach Bill Belichick: “Just do your job.” In New England, “Just do your job” has become a pop-culture mantra, and Belichick is the yogi. I got plenty of hate from western Pennsylvania last winter when I suggested that John Harbaugh reminded me of Chuck Noll. The venom was spewed because Noll won four Super Bowls and coached the Steelers for 23 years. Harbaugh has won one NFL title and coached the Ravens for eight years. The era is different. Noll fit Pittsburgh perfectly, and there was no question that he would stay with the Steelers for the long haul. He passed endorsement deals off to his players. He had zero interest in fame. There is no reason to think, in this age of egos and multimillion-dollar career advancement, that Harbaugh would be a lifelong Ravens coach. He may well leave at some point, or get fired because teams are more impatient these days. I cannot say that Harbaugh will be in Baltimore for 23 years. But I can say that he stays in his lane. I have seen him doing so—and I have seen others in Baltimore stay in their lanes when Harbaugh gets bull-headed about something that he feels is important. And ultimately, they all get along well—and seem to genuinely like each other. Harbaugh is a good coach for this era because of his mindset entering camp each year, which he relays to his players. 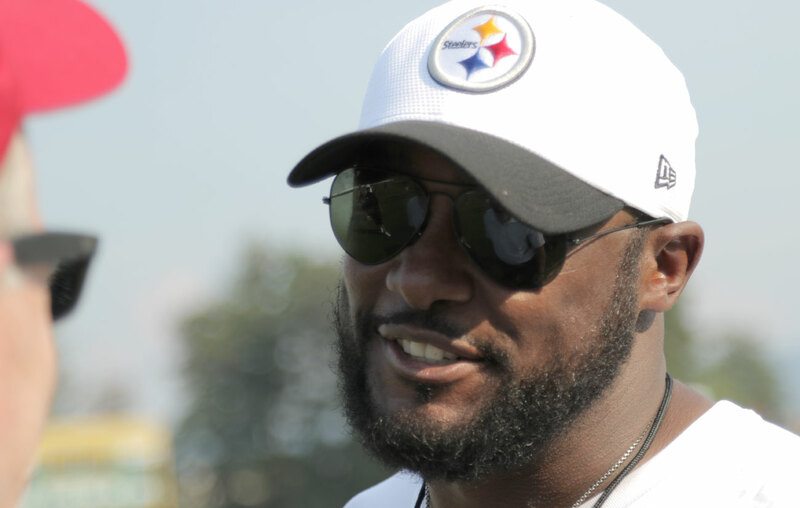 “Every year it’s the same,” he said after this early-camp practice. “Basically, ‘This is a football.’ That’s how we start camp, how we start every season. That’s the Vince Lombardi way. Don’t assume anyone knows anything. With so many new people every year, that’s the way it has to be. Words to live by—and win by—today in the NFL. Questions or comments? Email us at themmqb@talkback.com.